My dentist knows the condition of my teeth, gums and tongue. 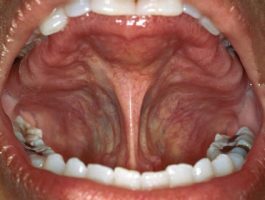 My doctor is familiar with my tongue too, but concentrates on the back of my throat as well as every other non-oral organ of my body. I assume he knows I have teeth, but I’m not really sure. My dentist cares little about my non-mouth based diagnoses, and my doctor has no idea of what is happening in my mouth. We are all used to the world of medical specialists – one for each organ system. But they have all been graduated from medical schools. It is more than passingly peculiar that dentists have an entirely different background. That peculiarity may come with costs to our health. Toothaches may be “younger” than our other aches and pains. Tooth decay is believed to have exploded from about 14 percent to nearly half the population after the agricultural revolution – an event which brought an abundance of the sugary detritus that feeds the oral bacteria responsible for decay. Who treated these sufferers? In third century BCE Egypt, we have a possible reference to a separation of medicine from dentistry in the tomb inscription of one Hesy-Re as “the greatest of those who deal with teeth and of physicians.” But Hesy-Re was officially a scribe and an administrator. His clinical activities, if any, are far from clear. Writings (including those of Hippocrates) from the classical period until well into the medieval period place dentistry under the jurisdiction of physicians. But by then, physicians had become largely theorists. “Cutting” was reserved for the less academically trained. In practice, this largely meant barbers. Yes – barbers. They performed every procedure from haircuts to amputations, and, of course, pulling teeth. Over time, barber-surgeons formed their own guilds and attained a certain degree of professionalism. It was Pierre Fauchard, an 18th century French physician, who established dentistry as a medical field of its own. Calling himself a “dental surgeon”, he introduced the practice of filling cavities rather than extracting teeth and new methods of replacing lost teeth. He was a teacher and wrote an 800-page book describing his methods. The fact that Fauchard was a physician argued for dentistry being a part of medicine – while the length of the text established a need for specialized training. In time, the specialized training notion won. In 1828, the world’s first dental school was founded in Ohio. The first dental college opened in Baltimore in 1840 with another in Philadelphia soon after. With the establishment of their own schools (and later their own licensure requirements), dentists continued the barber-surgeon tradition and reified the gulf between themselves and medical doctors. If we all know to consult a dentist for tooth and gum problems and a physician for anything else, what is the problem? It is this: As it turns out, teeth and gums are not singular structures entirely separated from the rest of our bodies, and their condition is a marker (and possibly a cause) for the diseases most likely to kill us. Oral bacteria released into the bloodstream have been shown to increase the risk of heart attacks. These same bacteria have also been identified in carotid plaques raising the risk of stroke. Colon cancer is exacerbated by swallowed microbes from our mouths. Post-menopausal women suffering from periodontitis are more likely to develop breast cancer. Men with a history of periodontal disease are more likely to develop cancers of the lung, kidney and pancreas as well as hematological cancers. Studies have shown that tooth loss is related to cognition. The more teeth lost, the more likely the patient is to be suffering from dementia. In patients with kidney disease, mortality is increased in the presence of periodontitis. The medical/dental dichotomy is not serving us well. First, there is the issue of insurance. Dental care is an insurance stepchild. Some health insurance plans (including Medicare) don’t cover it at all. That is fixable. The more resistant problem is the chasm between practitioners. That could be partially addressed by requirements for a certain degree of cross-training or regular reporting between practitioners who share patients. There is a movement to include more oral health training in the primary care curriculum. More radically, dentistry could return to its medical roots. The regulatory mechanism for health professions are the state boards – autonomous and largely self-serving. Most state legislatures are reluctant to intervene in matters of professional practice preferring to leave science to those who claim expertise in it. The politics of intervention are fierce, but what should happen when science has moved beyond entrenched administrative structures? In Maine, where dentists are in very short supply, primary care physicians are being trained in dental procedures bringing dentistry home as it were. Surely it is beyond time to consider whether the divorce between our mouths and the rest of us serves us well and to build a regulatory structure based on science rather than an accident of history.